This semi-casual pairing of a teal puffer jacket and light blue jeans is very easy to put together without a second thought, helping you look sharp and prepared for anything without spending a ton of time rummaging through your wardrobe. Send this outfit down a more laid-back path by slipping into Comme Des Garcons Play Comme Des Garons Play Play Converse Hi Tops from farfetch.com. If you're scouting for a casual yet seriously stylish getup, try teaming a white and red and navy plaid long sleeve shirt with olive chinos. Both items are totally comfortable and will look great paired together. Add a more relaxed feel to your outfit with Comme Des Garcons Play comme des garons play play converse hi tops. 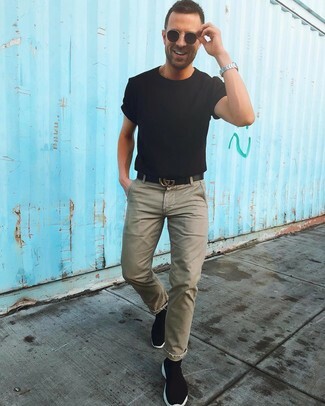 If it's comfort and functionality that you love in an outfit, pair a black crew-neck t-shirt with olive chinos. For something more on the daring side to round off this look, complement your look with Comme Des Garcons Play Comme Des Garons Play Play Converse Hi Tops from farfetch.com. 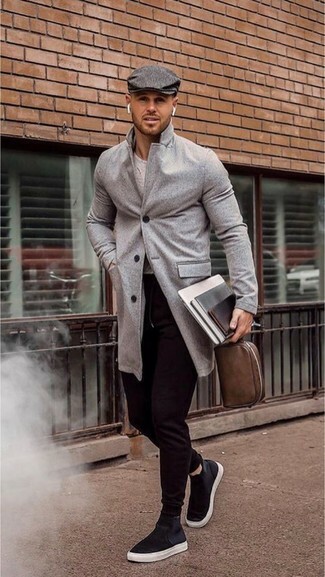 If you don't like trying-too-hard looks, opt for a grey overcoat and black sweatpants. 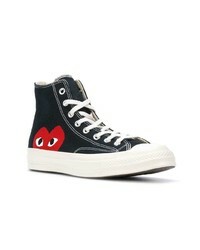 Throw in a pair of Comme Des Garcons Play comme des garons play play converse hi tops to loosen things up. For a nothing less than incredibly stylish outfit, wear a black and white houndstooth overcoat and black dress pants. Break up your look with more casual footwear, such as this pair of Comme Des Garcons Play comme des garons play play converse hi tops from farfetch.com. 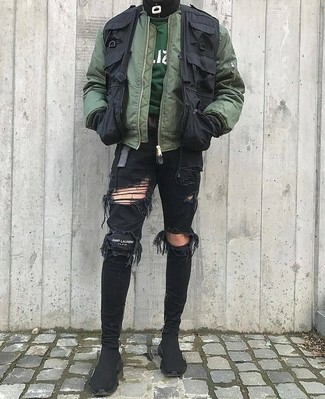 Opt for an olive bomber jacket and black ripped skinny jeans if you're after an outfit idea for when you want to look casually cool. When it comes to shoes, this getup pairs really well with Comme Des Garcons Play comme des garons play play converse hi tops from farfetch.com. Team a yellow tank with charcoal sweatpants to be both casual and neat. 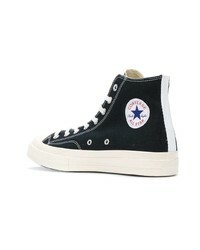 Black canvas high top sneakers are a wonderful choice to finish off the look. 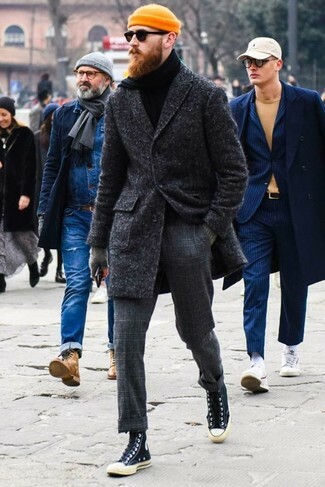 For a nothing less than incredibly stylish look, go for a charcoal overcoat and charcoal check wool dress pants. 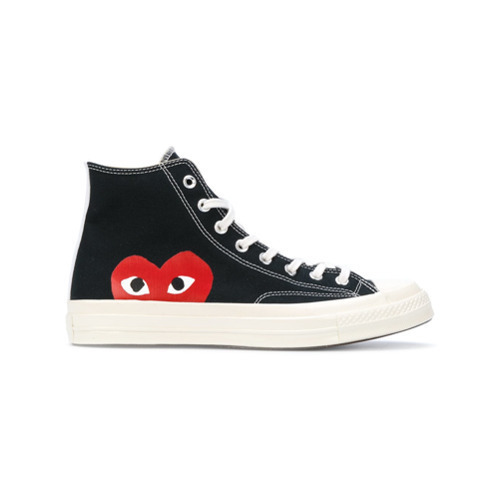 For something more on the daring side to round off this getup, rock a pair of Comme Des Garcons Play comme des garons play play converse hi tops. 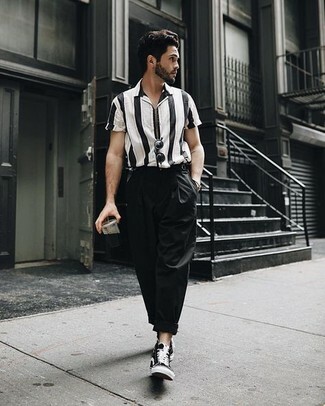 If you're in search of a casual yet dapper getup, choose a black and white vertical striped short sleeve shirt and black chinos. Both items are totally comfortable and will look great paired together. Add a sportier twist to your look with black canvas high top sneakers.